It’s gigantic, bright and ever-present. Yet what can be done as homeowners to harness the power of that fiery sphere in the sky serving as Earth’s most important source of energy? LakewoodAlive will shed light on energy derived from the sun during the latest installment of its home educational workshop series. 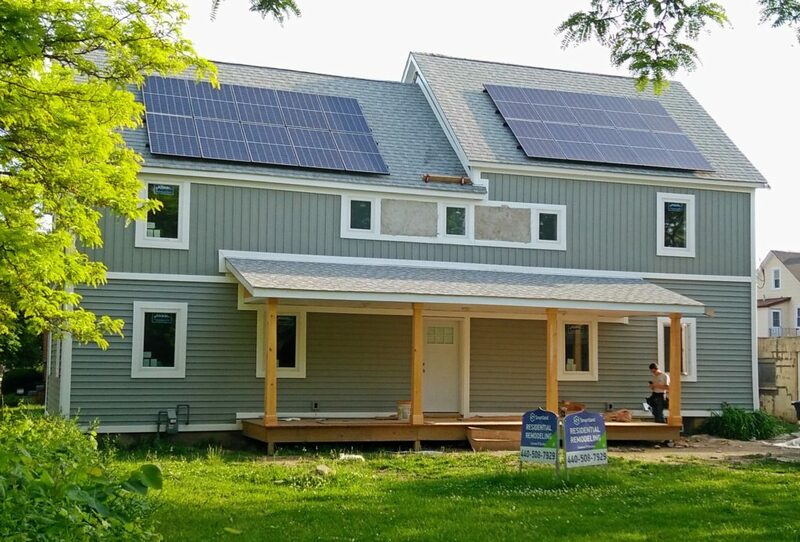 “Knowing Your Home: Solar 101” takes place from 10 a.m. to 12 p.m. on Saturday, June 11, at a private residence at 2147 Dowd Avenue in Lakewood’s Historic Birdtown Neighborhood. Solar panels adorn the home at 2147 Dowd Avenue where “Knowing Your Home: Solar 101” will take place on June 11. A representative from Bold Alternatives – the largest solar installer based in Northeast Ohio – will be on hand to share expertise regarding best practices for solar power utilization and the advantages arising from this renewable resource. Workshop attendees can expect to learn all about solar power and the process involved in transforming sunlight into energy production. The benefits associated with solar energy range from increased home valuation to improved environmental friendliness to the potential for long-term energy cost savings. Not only is solar energy natural as a source of power to generate electricity, but it’s also sustainable and requires little maintenance. The City of Lakewood purchased the property at 2147 Dowd Avenue in 2013 and has since converted the former four-unit apartment complex into a single-family home powered by electricity from the sun. With assistance from LakewoodAlive, the city has succeeded with establishing energy efficiency at the property, installing solar panels anticipated to save a future homeowner thousands of dollars in electricity costs over the course of the next several decades. Now in its third year, LakewoodAlive’s “Knowing Your Home” educational series is committed to helping Lakewoodites maintain the city’s beautiful-yet-aging housing stock. The workshops explore home maintenance practices empowering Lakewood residents to tackle necessary repairs and improvements. Join LakewoodAlive for “Knowing Your Home: Solar 101” on June 11 and discover how the sun might play a larger role in your summer than you ever thought possible. For more information, please visit the LakewoodAlive website.